This is a continuation of the testimony from here. IAHE Action’s response: This is NOT a homeschool problem. This is a PUBLIC school problem. When we recently learned this was occurring, we immediately sensed this was a strategy for public schools to avoid rising expulsion numbers while preserving the school’s A-F grading. Unfortunately, attempts to hold public schools accountable have created incentives encouraging schools to coerce families in unsuitable situations into an inappropriate educational option. An out-of-control student and a single parent working three jobs to provide a basic living with little to no knowledge of home education is not a logical candidate for home education. Homeschooling is HARD. A parent must be willing, able and motivated to take full responsibility. 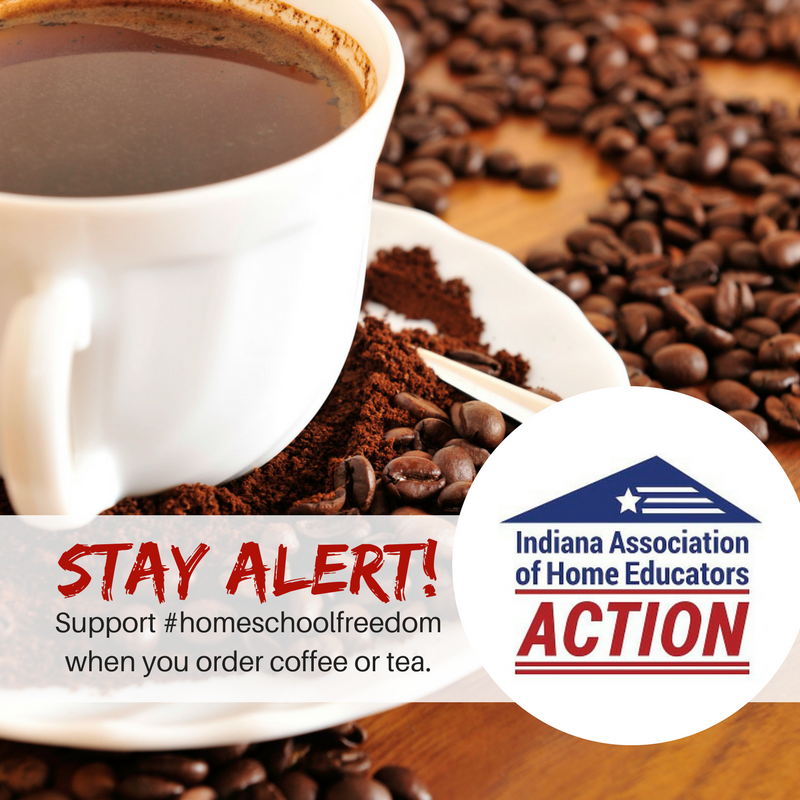 Under such conditions, Indiana Code for home education is more than sufficient to ensure academic freedom and outstanding results. Tragically, public schools in Indiana are resorting to educational slight of hand to hide the real state of affairs inside the public system. IAHE Action’s Response: If a public school presents only two options to a struggling parent, expulsion or signing a piece of paper to make it all go away, I know which one they will choose. It is the red pill or the blue pill. Just as Neo discovered the ugly reality behind the red pill, the reality behind this decision does not end in home education, but in the lack of education. How many of these families know what home education is when they are posed with this dilemma sitting next to their child in the Principal’s office? Does the principal tell the parents that home education is home-based, PARENT-led and PARENT-funded? Based on the calls Indiana Association of Home Educators (IAHE) has received in the past the answer is a resounding no. The parents have not been given adequate information to make an educated choice. According to the Merriam-Webster Dictionary, a homeschooler is a child who is taught at home instead of in a school. IAHE contends instruction from a parent needs to actually occur in the home before a child can be given the title “homeschooler”. As previously noted, Indiana Code requires parents to provide an equivalent education to the public system. A parent who was never told what home education is in the first place will not likely have proper documentation available upon request by the SPI. The Indiana Superintendent of Public Instruction (SPI) can, at any time, request the home school attendance record of any child over the age of seven. If an attendance record cannot be immediately procured, the Superintendent’s office can make further inquiry. If the child is not a homeschooler, then he or she can only logically be classified as a public school dropout. One can quite easily discern a homeschooler from a public school dropout in a few short questions. Of course, proper adjudication of the law as it currently stands by the Indiana Department of Education is first required. Again, unintended consequences have created an environment rife with misuse of educational options. If a child leaves the public school as a Code 20 homeschooler or Code 31 virtual schooler, it does not affect the public school’s graduation rate or the A-F grade. If the child, however, drops out, it negatively affects both thus providing a strong incentive for the principal to funnel children into specific categories despite the child’s realistic situation. Disincentives for abusing the system should be put in place. IAHE Action has suggestions to share with the Indiana General Assembly. TESTIMONY: Pg. 81. The next table is an example. This is a school that began way before 2004 but at grade 9 it has 66 children for the year 2004 and 5. By the time of graduation in 2007, they had 14 children. I’m sorry, I am going back a minute. In the following year you have seen a pattern of a number of youngsters that are decreasing yearly within this school. The question is where are these children, where have they all gone? Were they home schooled, were they transferred to other states, where are they? IAHE Action’s Response: Homeschooling has exploded in growth. Virtual public schools have as well. The pioneers of the modern homeschool movement felt called by God to teach their children for faith-based reasons. A good number still feel “called” to do that, but lately, the two largest reasons are due to safety concerns and due to Common Core. To avoid truancy charges, IAHE instructs those who plan to home educate to send a letter to the school at the time they remove the student to home school. Therefore schools should know when a student exits to home education. Do virtual and private schools recommend the same thing? Schools should send a truancy officer to any student’s home that does not show up for school and does not notify the school of their whereabouts. TESTIMONY: Pg. 82. “The next one is a table of a public school, same situation. Numbers start high, by the time of graduation the numbers are 50 percent. Where are these children? Are they in this loophole? Are they in this School-to-Prison Pipeline? IAHE Action’s Response: Removing children from public school does not mean bad things are happening. Due to drugs, violence, and Common Core many desire education alternatives. Unstable single-parent families often move frequently into and out of a school system based on the family’s ability to afford living accommodations. It is an often-repeated refrain regarding the educational challenges of this demographic. One must also ask could faulty record-keeping be a problem on the part of the school? IAHE has had experiences with school administrative staff not knowing the difference between public virtual school and home education. Another possibility could be the transient nature of the children of undocumented workers in the local education system. There are many reasonable explanations for the children a school system can no longer find. Again, IAHE’s advice to families removing their children to homeschool is to send the school administration a letter notifying the school of the parent’s intent. 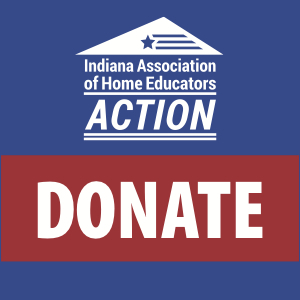 IAHE Action’s Response: Children who have never received anything other than a public school education cannot, by definition, be considered homeschoolers. IAHE is concerned public school children, missing or otherwise, are being lumped in with traditional homeschoolers to mask true “public school” problems with manufactured “homeschool” problems. Traditional homeschooling is defined by IAHE as: home-based, parent-led and parent-funded. We are seeing great confusion among educators and families alike in discerning the difference between traditional homeschooling and other educational options. Schooling that occurs in the home, but is funded by taxpayers or is controlled by someone other than the parent do not meet IAHE’s definition of home education. There is substantial public confusion regarding what constitutes homeschooling. Numerous families enrolled in virtual public schools such as Hoosier Academy Virtual Charter, Connections Virtual Academy, EVSC Virtual Academy believe themselves to be homeschoolers, but are legally identified as virtual public school students attending an accredited, public school. Homeschools are non-accredited, non-public schools and fall under different legal requirements from the state. On February 16, 2016, in a House Education Committee we were told during testimony for SB 334 that the IDOE reported 10,000 students a year were transferred to home education. Which numbers are accurate? TESTIMONY: Pg. 82. DANIELS: “So in the others, here is one more school that is looking at the enrollment, started with high grade, high numbers, ending with very low numbers. And you have to read this chart in a diagonal, that’s how that’s being read. This is what’s very enticing for us, as we looked at the first school, you will see across the top what those numbers are, 66 started, 14 graduated, the state says they had a graduation rate of 53.2, but we used a different formula, and that formula that we used, this school would have had a 21 percent graduation rate. Where are the children that allow this school to have a 53 percent graduation rate? IAHE Action’s Response: Current Indiana Code relating to home education does not need to be changed. We do agree the practice of principals encouraging home education to unsuitable candidates due to serious discipline issues and lack of parental support must be stopped. Homeschoolers are not the root cause of this problem at all. More regulations of homeschoolers will not end principal misuse of the homeschool category. IAHE Action has suggestions to curb the problem without harming the freedom of conscientious homeschoolers. 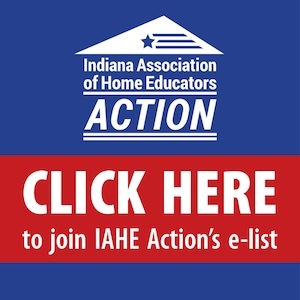 Indiana Association of Home Educators (IAHE) already offers a plethora of avenues for parents to become educated on home education, rights and responsibilities of parents. For 33 years, IAHE has made it their mission to support and encourage families who choose a homeschooling lifestyle. As a means of connecting new homeschoolers to the support needed in their local area, the IAHE has selected 16 experienced homeschooling couples as Regional Representatives. Each Representative is a ‘veteran’ homeschooler who can answer questions from families starting their homeschooling years. They maintain an active Facebook page with over 5,000 likes, a website with resources, podcasts and recommendations for new homeschoolers and publish The Informer magazine with articles of interest to home educators. Every public library in the state of Indiana is sent a copy of The Informer for their patrons’ use. Once a year, we host a large homeschooling convention featuring guest speakers, vendor exhibit hall and activities at the Indiana State Fairgrounds. Last year’s attendance at the convention drew 5,000 people. IAHE regional representatives host free “You Can Homeschool” events all across the state to give families a boost when starting out. In fact, IAHE is having their Convention at the Indiana State Fairgrounds on April 29-30, 2016, and they will have specific classes to get people started off well and others to help them continue to improve as they homeschool their children. This will be their 31st annual Convention. This year, IAHE has invited the National Black Home Educators to speak about the National Home Education Research Institute’s study on “African American Homeschool Parents’ Motivation for Homeschooling and Their Black Children’s Academic Achievement”. We would love to have you be our guests to learn more about how home education has been a blessing to these families. As you can see, IAHE is not invisible. They are quite easily found for anyone seeking information on home education in Indiana. Parental training and education in homeschooling is readily available to those who want it, regardless of income. As a matter of fact, they are listed as a resource on the Indiana Department of Education’s website for homeschooling. Institute for Quality Education also lists IAHE as a resource for further exploring this form of education. IAHE Action’s Response: Homeschoolers are well organized and have ample resources at their disposal to be successful. Homeschooling is not the issue here. Public schools passing off hard cases appears to be the real problem. Rather than penalizing families who work hard, sacrifice and take responsibility for their children, we need to find a solution to the root cause inside the public school system. These non-homeschool dropouts have a place to go. The Crossing, a faith-based school, provides educational services in twenty-eight locations across Indiana to hard case kids. This school wants them. Seeks them out. Loves these kids. Even better, the families do not pay out of pocket for this alternative school. They are change agents ministering to troubled teens through mentorship, education, and job training. Real heart change is happening in these kids under their guidance. This trend in public schools has been identified and a service has sprung up to handle it. Government oversight and control is not needed in the homeschool community. The potential public school dropouts and expulsions should be referred to an alternative school setting like The Crossing instead of being shoved out of school entirely. As a community of parents who love children and hold education to high esteem, IAHE Action does not understand why the public system does not make better use of the resources available to them.